Taiwan Semiconductor Manufacturing Company is expected to begin ramping up manufacturing of its 28-nanometer ARM processors at a much faster rate, but whether Apple will begin using chips with the smaller process remains to be seen. TSMC began generating revenues from its 28nm chips in the fourth quarter of 2011, when they accounted for about 5 percent of the company's sales, according to DigiTimes. But later in 2012, TSMC is expected to "significantly ramp up" production of 28nm chips. The company's 40/45nm production took about a year and a half of production until the process contributed 10 percent to company revenues. That ramp-up schedule was slowed because the company saw yield problems in that size range. TSMC is said to currently have a decent yield rate on its 28nm processes, but the company remains cautious on expansion, partially because the 28nm process is so new to the industry. For example, Apple, one of the largest users of mobile processors, still relies on the 45nm manufacturing process for its latest-generation A5X ARM CPU found in the third-generation iPad. Apple is said to have viewed newer chips as a potential risk to their products, and have stuck with older processes to ensure availability and reliability. But the custom chips Apple put in its new Apple TV and iPad 2 have been seen as evidence that the company is testing the 32nm chipmaking process. Moving to a smaller 32nm node allows the chips to be more efficient, allowing for improved battery life in iOS devices. Apple's primary chipmaker remains Samsung, though Apple was said to have signed a major foundry agreement with TSMC last year to build future ARM-based process. 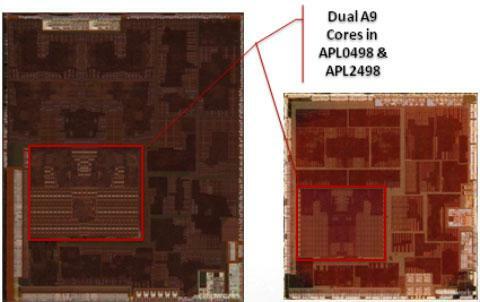 One report last September claimed that Apple would use a 28nm process for a so-called "A6" processor, while an A7 chip would rely on the even smaller 20nm process. Last month, it was also revealed that TSMC was tapped to produce power management integrated circuits for future iPhones and iPads.